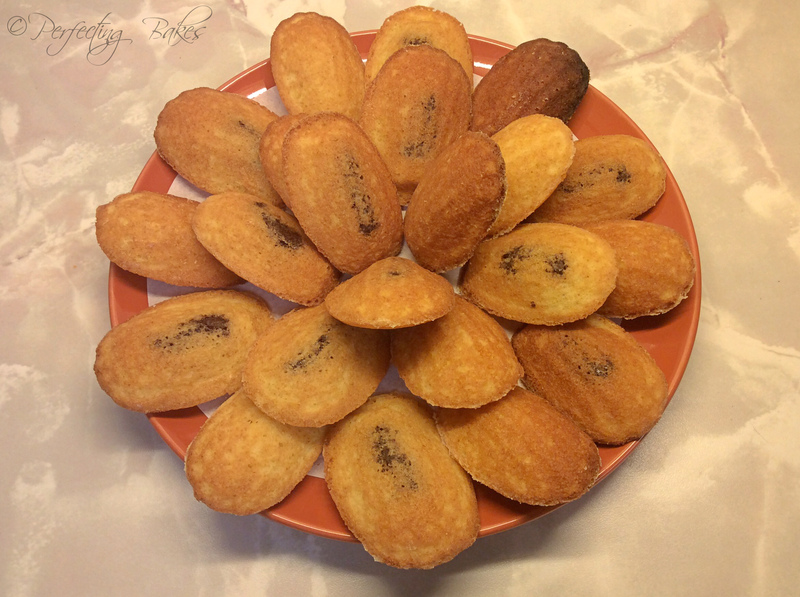 The other day I wanted to use my new Madeleine Tin and I did the Hairy Bikers’ Madeleines, the other recipe that I tried that day was this one from the Queen of Cakes Mary Berry with just a few alterations. * You can just do your Madeleines plain. I decided to do half and half 12-15 filled with Nutella and the rest plain so it would suit everyone. 1. Preheat the oven to Gas Mark 7. Grease your Madeleine tin, then dust with flour and shake off any excess – this will help the cakes come out cleanly once baked. 2. Melt the butter in a small saucepan or in the microwave for about 20-30 seconds then set aside and allow to cool slightly. 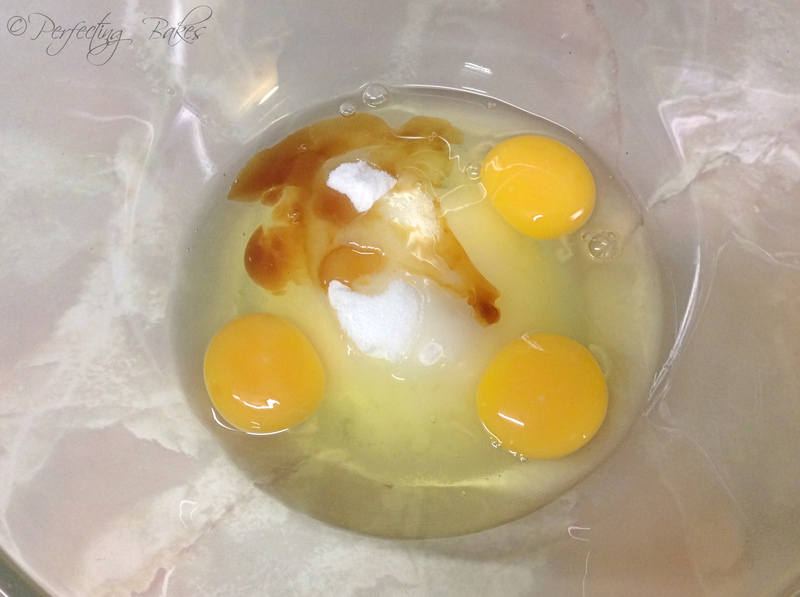 In a large mixing bowl add the eggs, sugar and vanilla extract, then whisk until pale and you can see it has thicken. 3. Sift in half the flour along with the baking powder and fold in gently. 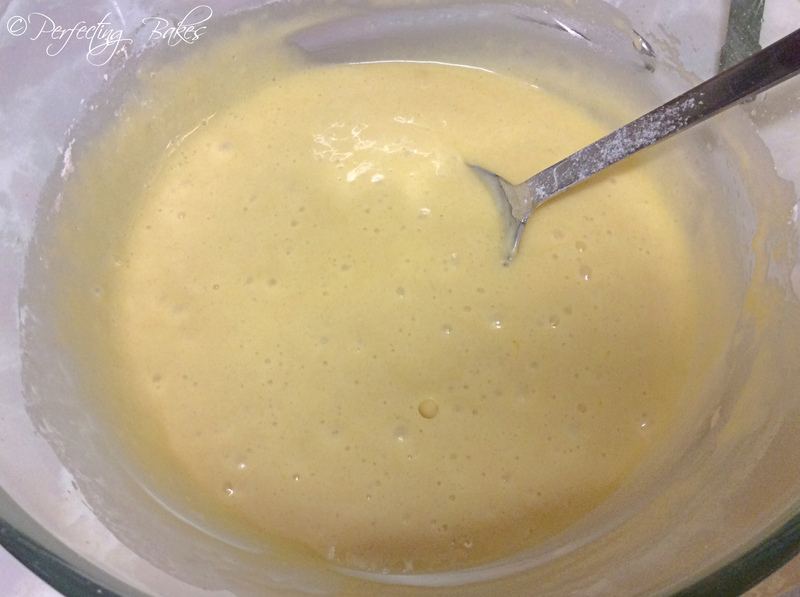 Next pour in half the melted butter around the edge of the mixing bowl and fold in.Repeat the process again with the remaining flour and melted butter – making sure that everything is incorporated. 4. Spoon or pipe the mixture into your prepared Madeleine tin. 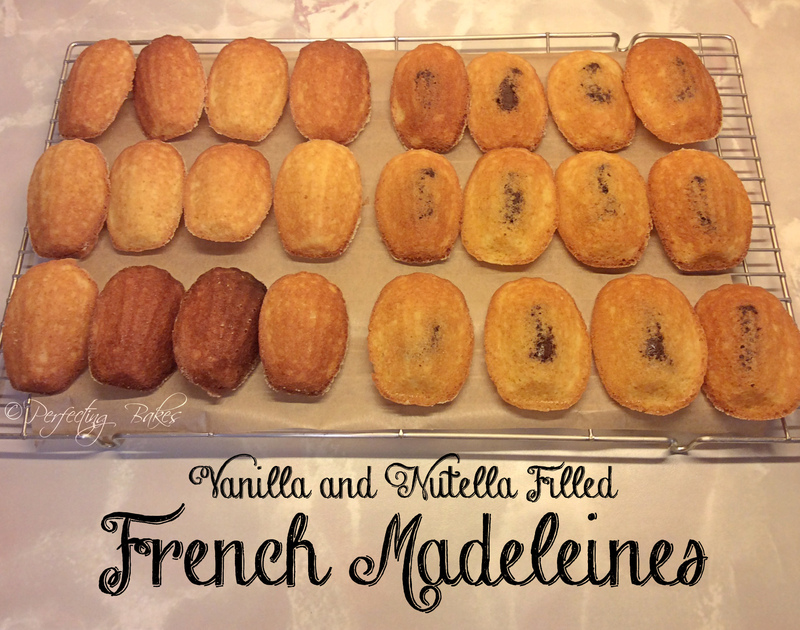 If you are just doing the plain vanilla Madeleine pipe or spoon the mixture so that it is just level in the moulds. Pipe or spoon just a small layer into the mould, then on top of that add a small amount of Nutella – adding to much will cause it to sink to the bottom. After added a little more of the Madeleine mixture just to cover the Nutella you have spooned or piped on. 5. Bake for 8–10 minutes or until they are well risen, golden brown and springy to the touch. Ease out of the tray with a small palette knife and cool on a wire rack. If you still have some mixture leftover grease and flour your Madeleine mould again, until all the mixture has been used up. So finally after doing two slightly different Madeleine recipes I think we all have to say that we preferred… The Baking Queen Mary Berry! I have to admit I couldn’t wait for them to cool down completely and I started eating them slightly warm, the Nutella was still gooey hmmm heaven.